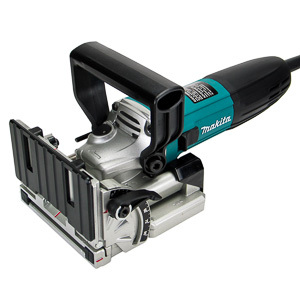 Makita's PJ7000 is Japan's entry in our seriesof plate joiner reviews. Besides being turquoise the PJ7000 lookslike the other competitors so far. Let's take a closer look andfigure out what the PJ7000 is all about. I have used my trusted Porter Cable 557 platejoiner for almost a decade now. It's about time to bring in a fewchallengers and see if the old guard is still competitive intoday's market. 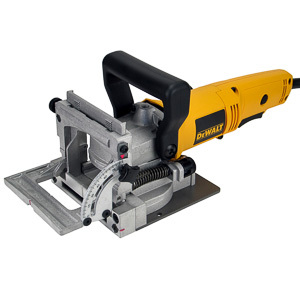 Enter DW682K, a surprisingly affordable platejoiner from DeWalt. Let's take look, if the DW682K can challengethe reigning champ. 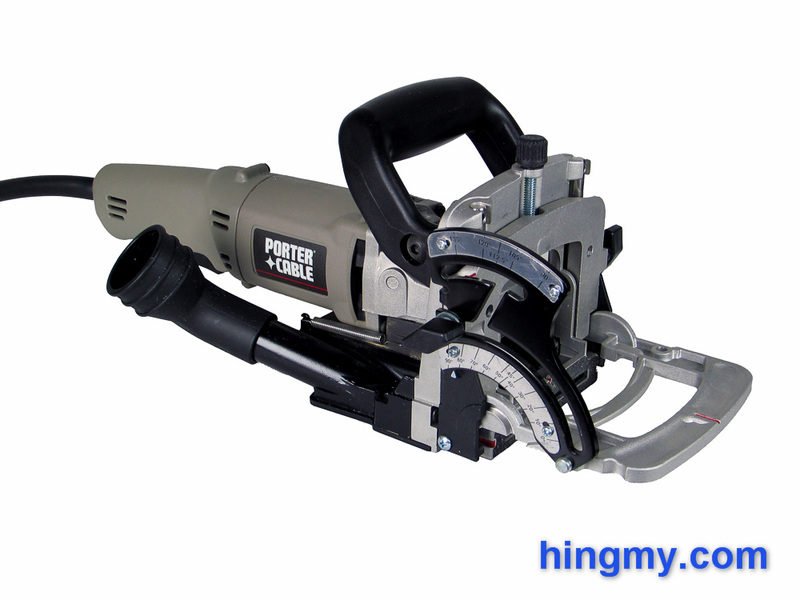 Porter Cable's 557 Plate joiner has built anexcellent reputation with woodworkers in recent years. The tool isseen as the gold standard among plate joiners. Many a woodworkersings praise of this particular plate joiner in the forums.Needless to say, I was very interested in using one in my shop.Let's take a look if the Model 557 Plate joiner is all that it'smade out to be. Plate joiners are used to drill/cut slot into stock for face jointing. The slots are filled with biscuits or dowels. The size of biscuits has been standardized. Choose a plate joiner than matches the size of biscuit you want to use. Next consider the maximum stock height the plate joiner supports. This distance is the only other property that will limit the utility of your plate joiner. "The 557 is the gold standard for plate joiners. It does everything right. After years in the top spot it is starting shop its age. New tools are moving past it." "Cast aluminum where it counts. Durable and powerful enough for a professional shop. The front handle is mounted to the motor housing, and not the fence."